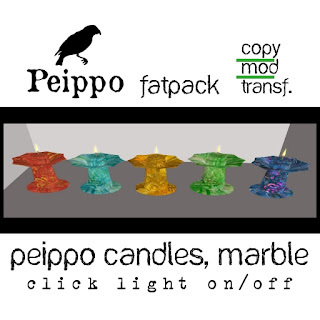 New release at Peippo Mainstore: Marble candles. You can get them separately or in a fatpack of all five, for a reduced price. Peippo original sculpt. Enjoy!